Dallas Rhinoplasty Surgeon, Dr. Rod J. Rohrich, has published an in depth video series detailing recent refinements to the approach of certain, especially delicate, aspects of rhinoplasty surgery. One of the essential motivations for a primary rhinoplasty surgeon should be maximizing odds for a good outcome. Get it right the first time. In a recent issue of Plastic and Reconstructive Surgery, renowned Dallas rhinoplasty surgeon, Dr. Rod J. Rohrich, has published a video series focusing on the most recent advances, developments, and recommendations to rhinoplasty surgeons. The video series, published for subscribers to Plastic and Reconstructive Surgery, the official medical journal of the American Society of Plastic Surgeons, details emerging techniques and refinements used for very fine, detailed work addressing specific areas of nose reshaping. "Through a series of videos, this case represents the evolution of the open rhinoplasty technique, demonstrating a wide range in the complexity of maneuvers to achieve the desired correction in rhinoplasty," the accompanying article explains. "The aim is to provide the rhinoplasty surgeon with examples of basic and sophisticated techniques and also to demonstrate minutia and nuance of open rhinoplasty." Different parts of the video series address the evolution of new and refined techniques to approach specific anatomical corrections in rhinoplasty. One area of special interest in the series is the nasal dorsum that is often a major point of concern among both patients seeking rhinoplasty, and surgeons performing it. Nasal tip refinement is another area addressed by the video series, and one which Dr. Rohrich says can be an especially sensitive area for many rhinoplasty surgeons. "One of the essential motivations for a primary rhinoplasty surgeon should be maximizing odds for a good outcome. Get it right the first time," says Dr. Rohrich, who treats a large number of revision rhinoplasty patients after having poor outcomes from previous surgeries. "If revision rhinoplasty is required because of a poor outcome in the primary rhinoplasty, the surgical options become more limited and the chances for a great outcome drop substantially." To that end, Dr. Rohrich is a longstanding advocate of what is known as the open approach to rhinoplasty. In the open approach, a small incision is made in the columella, the bridge of cartilage between the nostrils, allowing rhinoplasty surgeons to have direct access to the delicate, underlying tissue and nasal structures granting them more precise control of the surgery and outcomes. This is the approach used in the video series and the one Dr. Rohrich teaches as chair of the world famous Dallas Rhinoplasty Meeting, and at medical conferences around the world. Dr. Rohrich is also co-author of one of the leading textbooks on the subject, "Dallas Rhinoplasty: Nasal Surgery by the Masters", now in its third edition. "Rhinoplasty remains one of the most difficult procedures in all of plastic surgery," says Dr. Rohrich, who hopes these educational resources can help plastic surgeons to continually refine their techniques for better patient outcomes and help reduce the need for revision rhinoplasty surgery. "Rhinoplasty is a surgery of millimeters. It is a surgery of great finesse and takes years to master." About Rod J. Rohrich, M.D., F.A.C.S. Dr. Rod J. Rohrich is a board certified plastic surgeon in Dallas, Texas. He is a Distinguished Teaching Professor and Founding Chairman of the Department of Plastic Surgery at UT Southwestern Medical Center in Dallas, Texas. Dr. Rohrich graduated from Baylor College of Medicine with high honors, and completed his Plastic Surgery training at the University of Michigan Medical Center and fellowships at Massachusetts General Hospital/Harvard (hand/microsurgery) and Oxford University (pediatric plastic surgery). 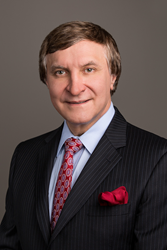 He is Chairman of the Dallas Rhinoplasty Symposium, Founding Chairman of the Dallas Cosmetic Symposium, President and Founding Member of the Alliance in Reconstructive Surgery, and a Founding Partner of the Dallas Plastic Surgery Institute. Dr. Rohrich has also served as president of the American Society of Plastic Surgeons, the largest organization of board certified plastic surgeons in the world. He repeatedly has been selected by his peers as one of America's best doctors, and on three occasions has received one of his profession's highest honors, the Plastic Surgery Foundation Distinguished Service Award, which recognizes his contributions to education in plastic surgery. Dr. Rohrich participates in and has led numerous associations and councils for the advancement of plastic and reconstructive surgery.